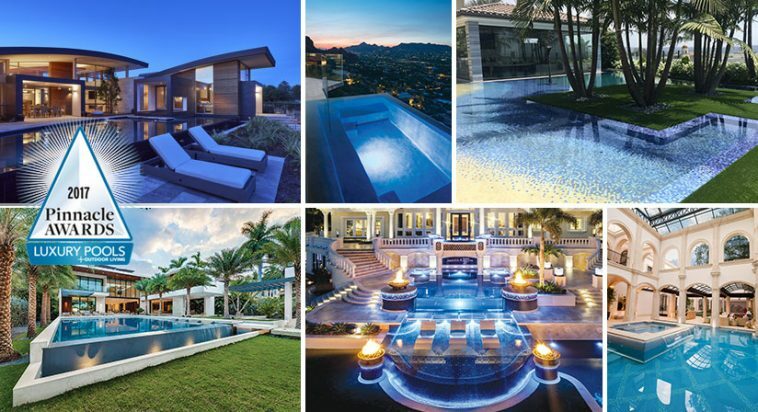 To recognize the builders and designers that make the outdoor lifestyle possible for residential and commercial consumers, Luxury Pools + Outdoor Living magazine, the premier outdoor living publication, awards select projects a coveted Pinnacle Award each year. “These projects represent what’s trending in pool and outdoor living design today: Big ideas, meticulously thought out details, and cutting-edge designs,” comments Melissa C. Gillespie, editor of Luxury Pools + Outdoor Living magazine. Splash Pools and Construction, Inc.
Summers Murphy & Partners, Inc.
All Pinnacle Award winners are showcased in the Fall/Winter 2017 issue of Luxury Pools, which is available online, at select newsstands nationwide, and at several upcoming conferences and expos including Master Pools Guild Fall Meeting, WestEdge Design Fair, American Society of Landscape Architects Expo, International Pool, Spa & Patio Expo, and Carecraft Annual Meeting. RMS Media Group builds publishing brands and businesses that offer interactive experiences across print, digital, and retail. Founded in 2001, it serves luxury industries such as aviation, fashion, watch and jewelry, resorts, and real estate. It is the publisher of the premier regional magazine for the North Shore of Boston, Northshore, luxury coastal lifestyle publication, Ocean Home, and outdoor living and design publication, Luxury Pools.